We finally have her seizures under control. She is on a different medication which seems to have very few side effects. 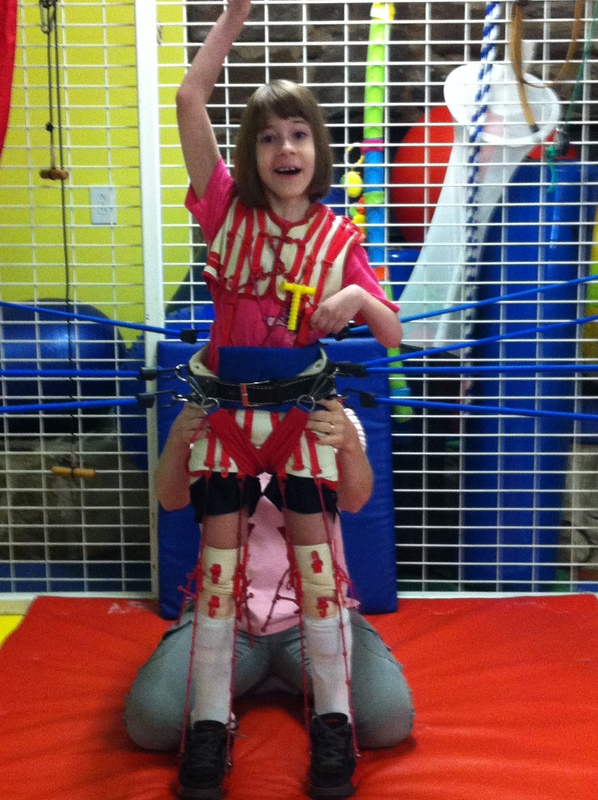 At her current dosage, we rarely see seizures – and even when we do, they are extremely mild. The only side effects from her seizure medication seem to be occasional intolerance for movement and increased emotional outbursts… NOT a good mix for TheraSuit therapy! We miss you too! Anne asks for your picture every night at bedtime :) She did great today. She only cried during two exercises – and had a great attitude the rest of the time. Yeah! You look AWESOME in your specialty work out suit. You know Superman? Christopher Reeves who played him in the movies? HE had a specialty suit too (but his was for EVERY part of his body)! He was over here at Shepherd Spinal Center. Now how Kewl is that?! YOU are a SuperHero to me kiddo. Keep up the FANTABULOUS work! Anne says you Re a super hero too! !